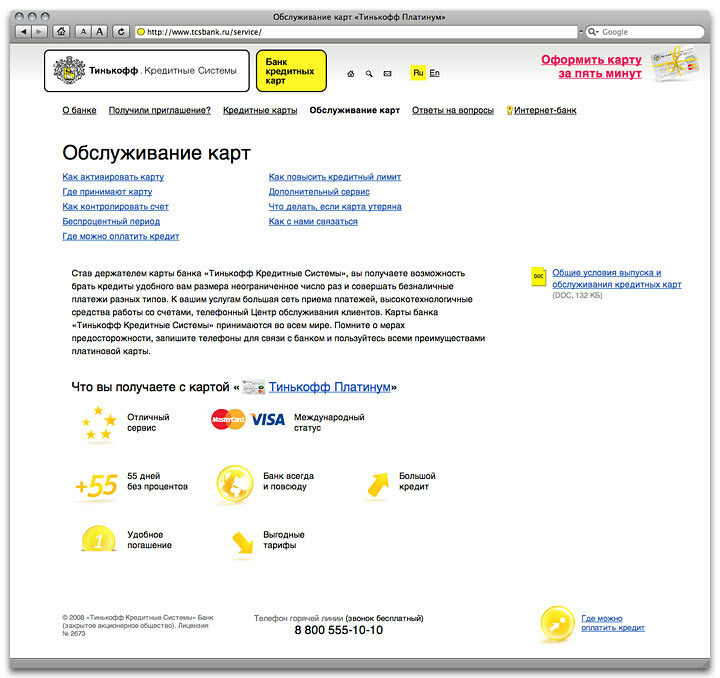 Problem: Make a website for a bank. 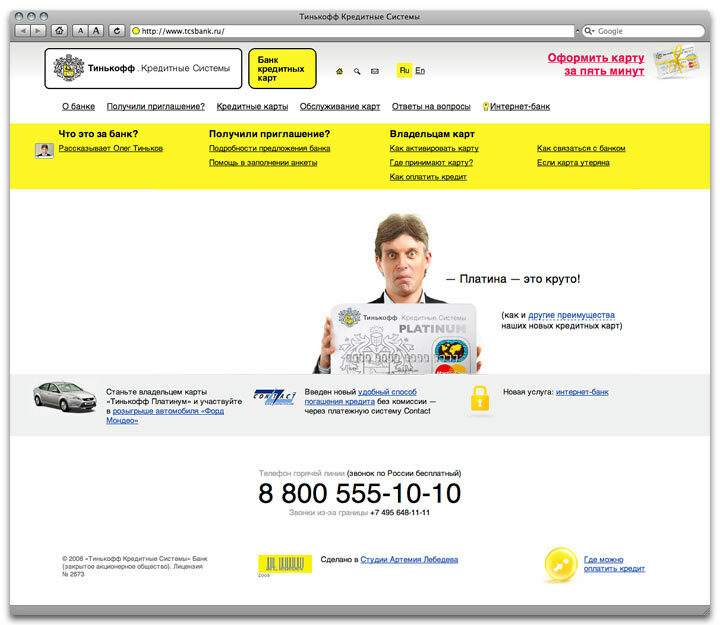 Tinkoff Credit Systems is a credit card bank. It offers new approach to client servicing and supportcommunication is done entirely via mail, by phone and through the Internet, and there are no real offices, desks or ad stands anywhere. 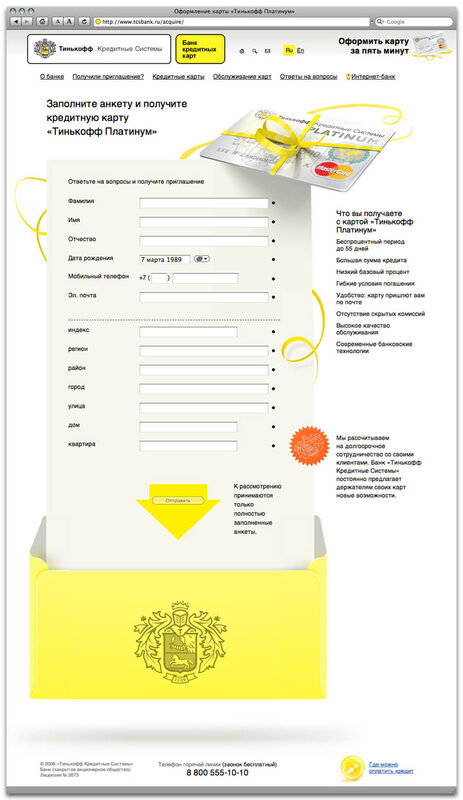 The site tells people how and why it works..
To obtain a card you need to fill out the form you receive by mail. Many seem to get confused over it. On the site, there is a separate page explaining how it should be done, so less questions can be asked over the phone and less mistakes occur. 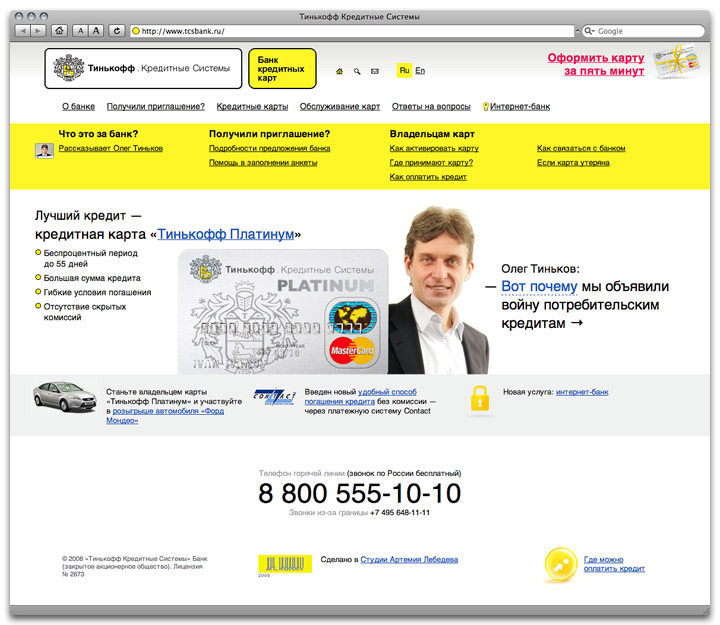 If you need the card but the bank sent you no letter, you can order it online.